We’ve been keeping an eye on our customers’ Giving Tuesday campaigns, and we’ve got to say… we’re impressed! Check out the collection below–you’re sure to find inspiration! 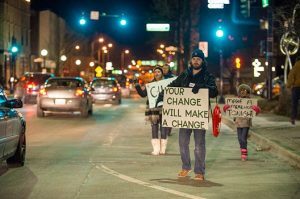 Each link will take you to an organization’s Giving Tuesday campaign page. 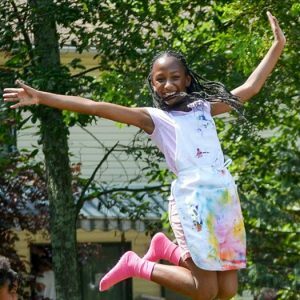 Grace Children’s Foundation gave donors a brief background of Giving Tuesday and used Qgiv’s amounts widget on their campaign page. 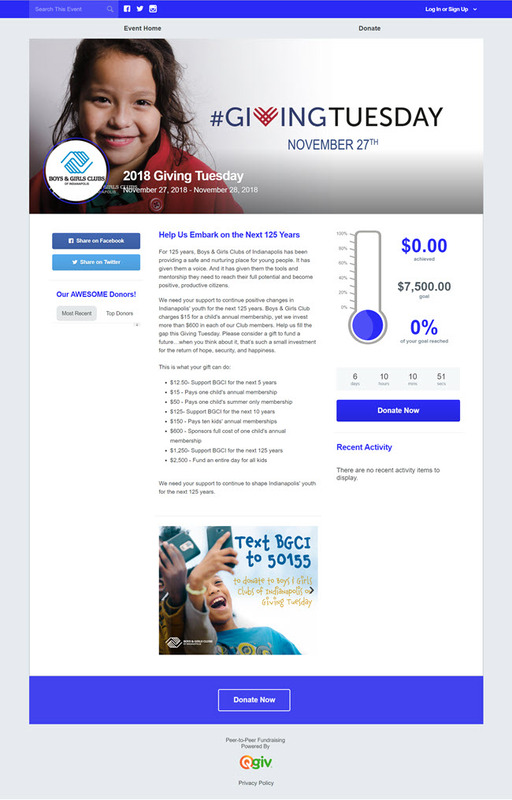 The Boys & Girls Club of Indianapolis is using Qgiv’s peer-to-peer platform for their Giving Tuesday campaign. They included information about the organization, impact information, great imagery, clear calls-to-action, and they even put their text giving number on the main page! Brother Wolf also used Qgiv’s peer-to-peer platform for their Giving Tuesday campaign. They included prominent messaging about matching donations to encourage donors to give, text giving information, fantastic videos showing their impact, and pictures of adorable kittens. What’s not to love? We love that LifePath included impact statements on their donation buttons. It’s a simple way to show donors the exact difference their donations make. City Year gave their campaign a clean and polished look! They included impact information for donors and placed the Supporters widget on the main page to display messages from donors. 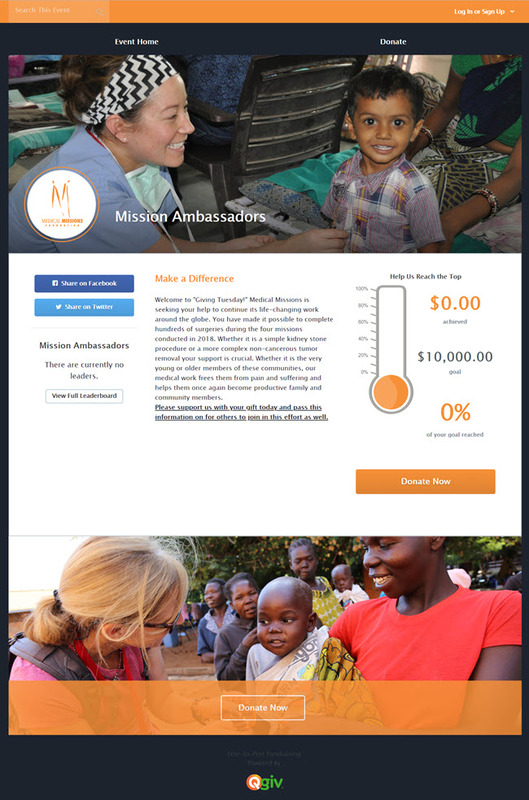 Medical Missions Foundation kept their page simple and sweet. They used beautiful imagery from the field and included impact information. 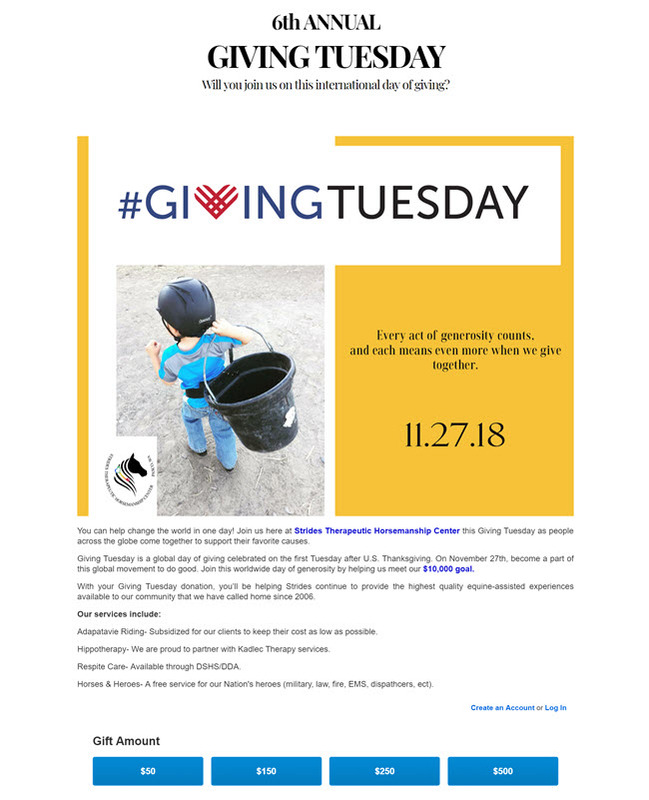 Strides included some background on Giving Tuesday, information about their services, and an adorable image of a tiny little boy with a feed bucket. 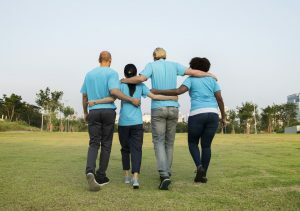 If you’re a current Qgiv customer looking to set up a form for Giving Tuesday and you’d like some help, send the Customer Experience team an email at support@qgiv.com. They’d love to help!